You do not have much to lose by adopting a healthy, positive attitude. Studies show that such an attitude actually retards aging, makes you healthier, helps you develop a better stress coping mechanism, and has a very positive effect on all the people you meet every day. So, what's not to like about a positive attitude? Adopt one today. 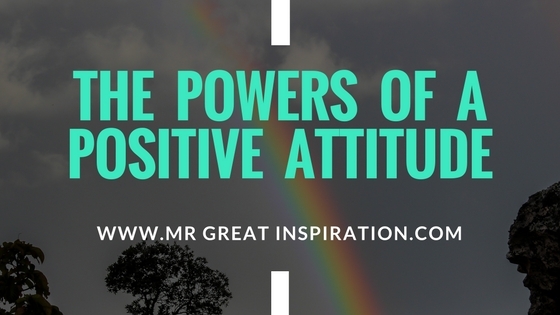 We hope guys you find our article "The Powers of a Positive Attitude" by Mr Great Inspiration useful.